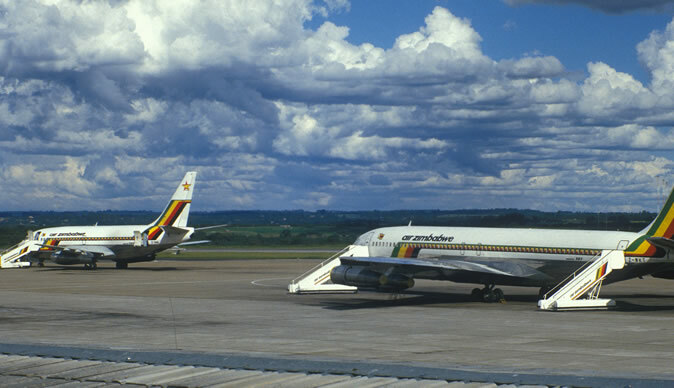 Air Zimbabwe said on Thursday it has leased two aircraft which it will deploy on regional routes in March this year as part of its revival plans. The national carrier resumed limited flights late last year after being grounded for a long period due to financial and other problems. Among other things, Air Zimbabwe owes suppliers and other creditors more than $100 million, which has prompted some of them to threaten to seize and auction its planes. Air Zimbabwe chief executive Mr Innocent Mavhunga said two A320 aircraft which the airline had leased would be deployed in March to expand operations. "These are medium-range aircraft, and will be deployed on regional routes, most probably the Harare-Johannesburg route," he said. "This is part of our re-building plans, and we see huge potential in the near future," he said. Mr Mavhunga said international flights to destinations such as London would remain grounded for now, in part because of lack of aircraft. The limited flights currently offered by the airline are on domestic and some regional routes such as Harare-Johannesburg. Mr Mavhunga said Air Zimbabwe was gearing itself for the country's biggest tourism event, the United Nations World Tourism Organisation general assembly to be held in August in Zimbabwe and Zambia. "We are confident we won't be found wanting," he said.